Koenigsegg doesn’t simply need ignition-controlled supercars to contend with EVs, as far as performance is concerned. It wants to make an eco-friendly car, as well. In a talk, founder of company Christian von Koenigsegg said, he was working with National Electric Vehicle Sweden to build up a €1 million ($1.15 million) hybrid supercar, that was totally CO2 neutral. The solution, he stated, was merging the automaker’s “free-valve” ignition motor technology with electric help. Christian further added, the vehicle will be a hybrid that utilizes its camless engine technology. Christian also disclosed the reason for not to go completely electric. He said, almost all the big automaker companies of the world are going to make their cars fully electric. Tesla today is creating around half of all the battery cells on the planet, and that is just enough for 300,000 vehicles. At that point, you hear Volkswagen is going full electric, BMW as well, and that is a huge number of autos. It’s very simple to understand that there will be a cell lack coming up very rapidly. Von Koenigsegg recently alluded to the setup after knowing that how his designers were reacting to Tesla’s announcement that its expected cutting-edge Roadster would go for a 1.9-second 0-60 mph time. He further indicated that the new hybridized supercar will look obviously like a Koenigsegg yet be in an alternate portion out and out from either the Agera RS or module half breed Regera. 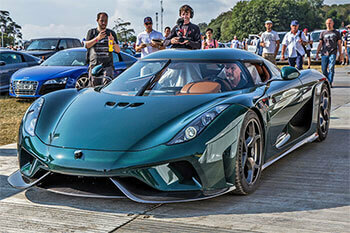 Koenigsegg vehicles are costly however the organization is expecting to give something increasingly “moderate,”. The thought is to offer something situated beneath its present harvest of ultra-intriguing autos to draw in new clients, and all the while increases the organization’s business volumes.